MONDAY, Jan. 29, 2018 (HealthDay News) -- While donating a kidney isn't likely to shorten your life or increase your odds of heart disease or diabetes, you might face a higher chance of some other health risks, new research suggests. 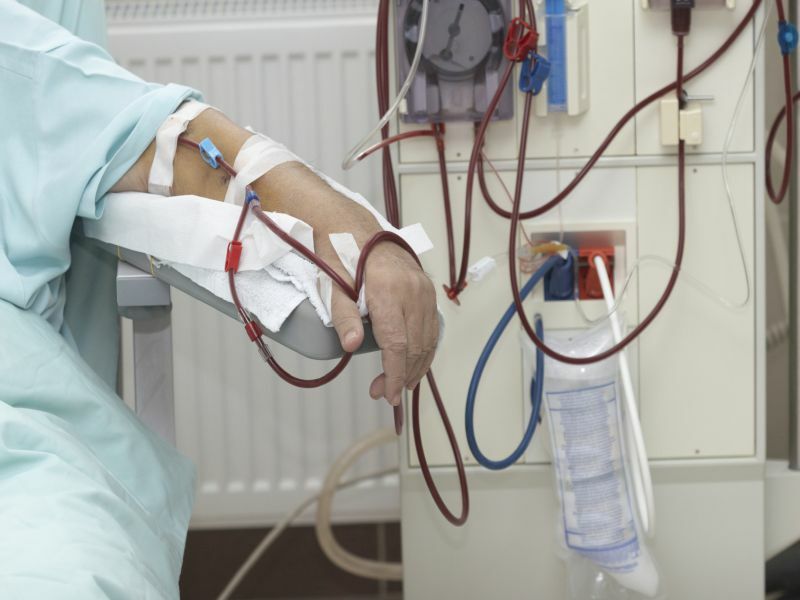 Reviewing prior studies encompassing more than 100,000 living kidney donors, scientists found that donors appear at higher risk for worse blood pressure and kidney function than non-donors. Female donors also faced a nearly twofold increase in risk for pregnancy-related complications such as pre-eclampsia. "This study highlights the low but real risks of living kidney donation, and emphasizes the importance of careful assessment and counseling for all living kidney donors," said study author Dr. Emanuele Di Angelantonio. "While this systematic review … provides some important answers, the field is still a long way from offering precise risk estimates to prospective donors," Di Angelantonio added. He directs the National Institute for Health Research's Blood and Transplant Unit in Donor Health and Genomics at the University of Cambridge in England. More than 19,000 kidney donations were performed in the United States in 2016, the latest figures available, according to U.S. Government Information on Organ Donation and Transplantation. About 1 in 5 donations of all organs is from a living donor. But patients waiting for kidneys comprise nearly 83 percent of all transplant candidates on the U.S. national waiting list, and 20 people die every day waiting for an organ transplant. Di Angelantonio and his colleagues combed through 52 published studies comparing more than 118,400 living kidney donors and just over 117,600 non-donors to evaluate the mid- and long-term health risks associated with living kidney donation. The average follow-up for participants ranged from one to 24 years. While kidney donors had higher diastolic blood pressure -- the lower number of a reading, reflecting blood pressure between heartbeats -- and a higher risk for end-stage kidney disease, other major risk profiles were comparable to non-donors. There was no evidence that donors had higher risks of death, cardiovascular disease, type 2 diabetes or a lower quality of life. The study was published online Jan. 30 in Annals of Internal Medicine. Dr. Peter Reese, who co-authored an editorial accompanying the study, praised it as "authoritative, because it brings together studies that were conducted in different countries and at different times. "It's safe to say that we now know a lot about what happens to kidney donors in the first 10 years after donation, but much less about what happens later," said Reese, an associate professor of medicine at the University of Pennsylvania Perelman School of Medicine. "So I'm particularly cautious with young kidney donors -- let's say, those people under 25 years of age," he added. "If they donated today, they would have many years to live with one kidney and may not have an easy time imagining one future day when their health may not be as robust as it is today." Reese said living kidney donors can do much to minimize their short- and long-term health risks following donation. Such measures include exercising, controlling their weight, and paying careful attention to their blood pressure. "Avoiding tobacco, and other aspects of a healthy lifestyle, are also extremely important," Reese said. "We know that kidney health depends to a large degree on lifestyle choices and good control of risk factors like blood pressure." Dr. S. John Swanson is chief of transplantation surgery at Christiana Care Health System in Wilmington, Del. He said the new study's bottom line is that it supports the relative safety of living kidney donation, as long as proper screening measures and informed consent are obtained. "This study is important as we try to find the best means to counsel our donors to potential risk and provide as true as possible informed consent," said Swanson, who wasn't involved with the new research. "The benefits of living donation to the recipient are great regarding timing, survival and organ quality, but we must always keep our eye to safeguarding the donor from both short- and long-term risk," he said.